?2019 Mercedes-Benz CLS450 Coupe Preview? Mercedes-Benz recently revealed the latest of its high-performance personal luxury cars. 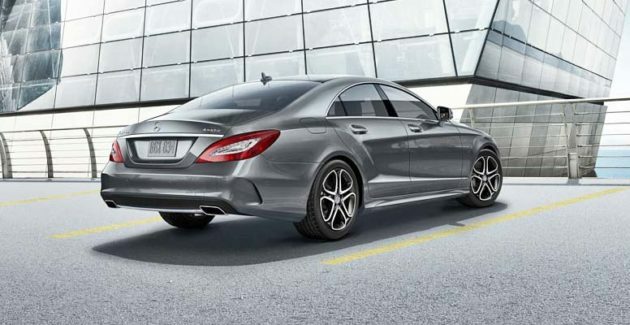 The 2019 Mercedes-Benz CLS450 blends the looks and engine power of a flashy sports coupe with the functionality of a four-door sedan, and you won?t find any better interior luxury features anywhere. The CLS450 is sure to be a big hit for Mercedes-Benz. Engine power in the CLS450 is supplied by a 3.0-liter, twin-scroll turbocharged inline six-cylinder engine that produces 362 horsepower and 369 pound- feet- of torque, and the car is capable of 0-60 times of 5.1 seconds with rear-wheel-drive, or 4.8 seconds when equipped with the 4Matic AWD system. It is equipped with a 48-volt mild hybrid system, powering an integrated starter-generator, which can contribute 21 hp and 184 lb-ft to overall energy ratings. The system is called EQ by Mercedes. In addition to amplifying acceleration, it can also take over for the engine in steady cruising scenarios, delivering fuel economy benefits. Mercedes expects the performance of this new powertrain to at least equal that of the current 4.7-liter, 402-horsepower V8. The hybrid provides instant acceleration and enables the fuel-saving engine start-stop function. The engine is paired with a 9-speed automatic transmission and the buyer?s choice of a rear- or all-wheel-drive system. Inside, the CLS offers almost everything Mercedes has to offer. It?s got super comfortable sport seats upholstered in fine Nappa leather that offer full automatic adjustment and position memory, heat, ventilation, and a massage function. An adjustable thigh bolster and lumbar support complete the comfort personalization experience. There?s also an aromatic air freshening system. When opting for the massage and aromatherapy features, the CLS450 will provide several ?Energizing Comfort? treatments, similar to a light spa menu. Simply select a treatment and the car will play special music while massaging you, applying heat and ventilation, and serving up a pleasant aroma. The ambient lighting in the car offers 64 different colors to choose from. The aromatherapy system is integrated in the climate control and includes scents that may be purchased from the Mercedes dealers. What you don?t get with the CLS is Mercedes? brand-new M-B-U-X technology interface. This car still has the older COMAND system, but it?s very good, and offers navigation, feature controls, and music through an ultra-wide 12.3-inch video display screen. 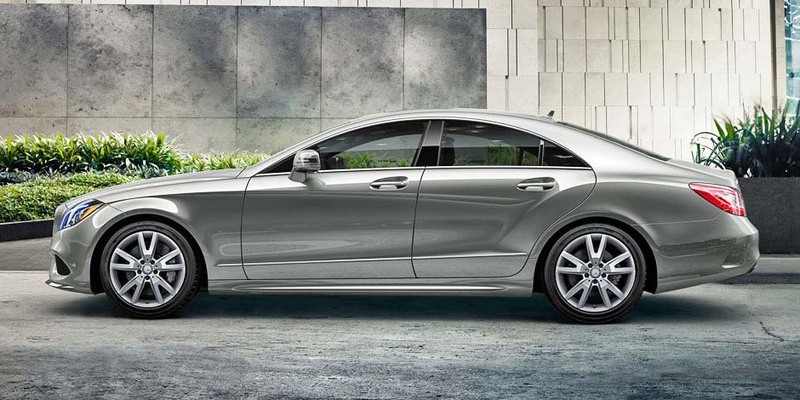 The technology you?ll find in the CLS450 is among the best in the business. The COMAND navigation system is displayed on an ultra-wide 12.3-inch screen controlled by a dial joystick on the console. Both Android Auto and Apple CarPlay are supported, along with Satellite Radio and streaming audio. An additional 12.3-inch screen is optional, and replaces the driver information display with an all-video presentation. The CLS450 is also available with a clear and bright head-up display. Driver assistance includes Mercedes? Distronic lane keeping assist and a full suite of safety features including adaptive cruise control, lane change assist, blind spot monitoring, and even a rear end and side impact collision mitigation system. The 2019 Mercedes-Benz CLS450 and CLS450 4Matic are due to go on sale in the last quarter of 2018. A special higher-performance AMG model will go on sale at the same time. Pricing is not yet finalized, but the 2019 Mercedes-Benz CLS450 and CLS450 4Matic will go on sale towards the end of 2018. Base Price: Current CLS MSRPs range from just below $76,000 to $78,345. Engine Type and Size: 3.0-liter, DOHC, 24-valve, twin-scroll turbocharged inline six-cylinder supplemented by a 48-volt mild hybrid electrical system.